Unlock all 12 divine elements and watch as a civilization unfolds. "I thoroughly enjoyed playing Doodle God: Solitaire. I am a solitaire fan and play a lot of varieties of solitaire. Thank you for the fun!" Unlock all 12 divine elements and watch as a civilization unfolds under your fingertips. The creation of humanity and 120 unique levels are an ideal combination for any solitaire fan. Start from the most simple microorganisms and create animals, mechanisms and entire armies. The ability to create a world in your image is now entirely in your hands. Find card pairs quickly to increase your reward, and then purchase bonuses such as mulligan, shuffle and joker. 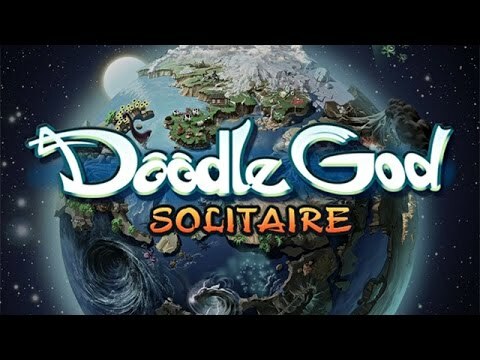 Embark on a long journey filled of joy, creation and artistic torment in Doodle God: Solitaire. Give the gift of joy and restore a little girl's faith in magic.